A high-wing, 4-engine, T-tailed military-transport aircraft, the multi-service Boeing C-17 can carry large equipment, supplies and troops directly to small airfields in harsh terrain anywhere in the world day or night. The massive, sturdy, long-haul aircraft tackles distance, destination and heavy, oversized payloads in unpredictable conditions. It has delivered cargo in every worldwide operation since the 1990s. Take off from a 7,600-ft/2316.48-m airfield, carry a payload of 160,000 pounds/72,574.8 kg, fly 2,400 nautical miles/4444.8 km, refuel while in flight and land in 3,000 ft/914.4 m or less on a small unpaved or paved airfield in day or night. Carry a cargo of wheeled U.S. Army vehicles in two side-by-side rows, including the U.S. Army’s main battle tank, the M-1. Three Bradley infantry-fighting vehicles comprise one load. Drop a single 60,000-lbs/27,215.5-kg payload, with sequential load drops of 110,000 lbs/49,895.2 kg. A two-person cockpit crew and one loadmaster operate the C-17 Globemaster III, which can be refueled in flight. This cost-effective flight crew complement is made possible through the use of an advanced digital avionics system and advanced cargo systems. In the cargo compartment, the C-17 can carry Army wheeled vehicles in two side-by-side rows. Three combat-ready Stryker infantry-fighting vehicles comprise one deployment load. Similarly, the Army’s newest main battle tank, the M-1, can be carried. The four engines are Pratt & Whitney PW2040 series turbofans, designated as F117-PW-100 by the Air Force, each producing 40,440 pounds of thrust (179.9 kN/18,345 kgf). The engines are equipped with directed-flow thrust reversers capable of deployment in flight. On the ground, a fully loaded aircraft using thrust reversers can back up a 2 percent slope. On Dec. 10, 2010, the worldwide C-17 fleet surpassed the 2 million flight-hours milestone and recently surpassed 2.6 million flight hours. 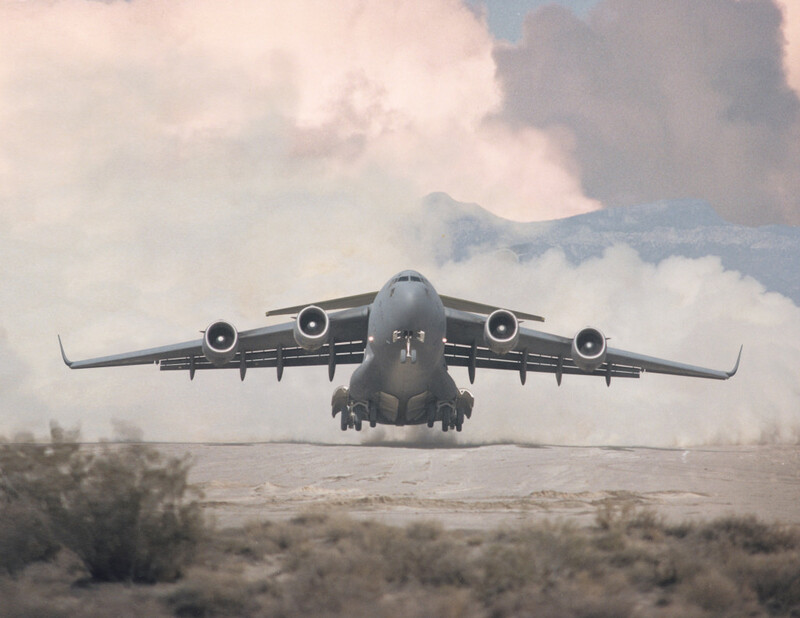 The U.S. Air Force declared the first C-17 squadron operational in January 1995, following first flight in 1991. 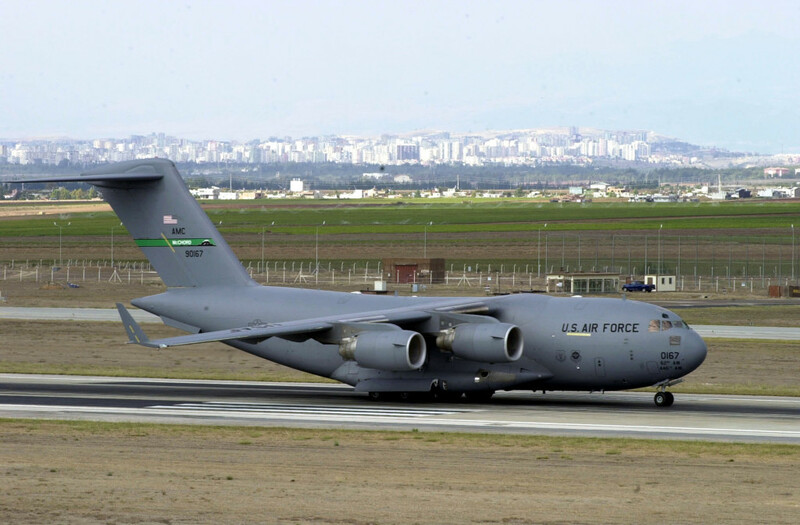 Boeing C-17s have been involved in numerous contingency operations, including flying troops and equipment to Operation Joint Endeavor to support peacekeeping in Bosnia, Allied Force Operation in Kosovo, Operation Enduring Freedom in Afghanistan and Operation Iraqi Freedom. 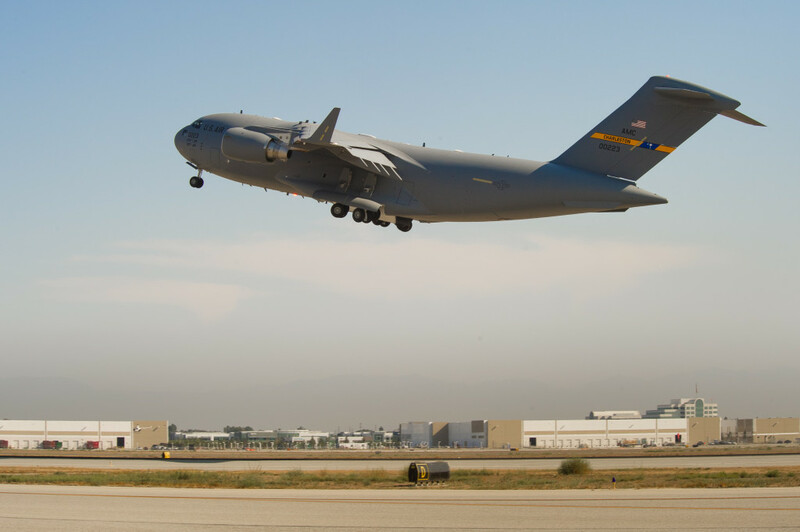 During flight-testing at Edwards Air Force Base, California, C-17s set 33 world records – more than any other airlifter in history – including payload to altitude, time-to-climb and short-takeoff-and-landing marks in which the C-17 took off in less than 1,400 feet/426.72 m, carried a payload of 44,000 pounds/19,958.1 kg to altitude and landed in less than 1,400 feet/426.72 m.
(*) Each 463L pallet is 88 in/2.24 m wide, 108 in/2.74 m long and 2-1/4 in/0.57 m high. The usable space is 84 in/2.13 m by 104 in/2.64 m. It can hold up to 10,000 lbs/4,500 kg of cargo (not exceeding 250 lbs/113 kg per square inch) at 8 g. Empty, each pallet weighs 290 lbs/130 kg, or 355 lbs/160 kg with two side nets and a top net. Unique to the C-17, the F117-PW-100 engines are equipped with a directed-flow thrust reverser capable of being deployed in flight. On the ground, the thrust reverser can back a fully-loaded aircraft up a two-degree slope. 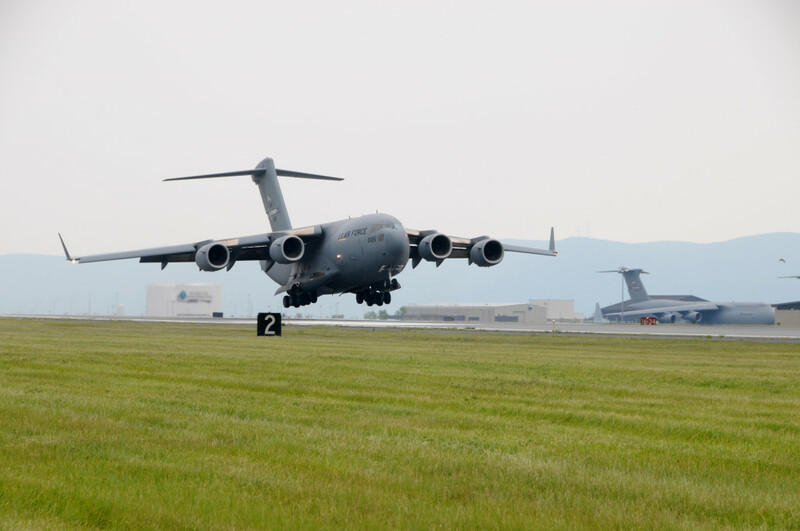 Also noteworthy, the F117-powered C-17 set 22 world records during qualification testing before achieving Initial Operational Capability (IOC). Today’s F117 engine – the Reduced Temperature Configuration (RTC) – uses technical and material advancements such as second-generation single-crystal turbine materials, improved cooling management and thermal barrier coatings to lower operating temperatures. These enhancements contribute to the F117’s excellent reliability, durability and long time on-wing. A Full-Authority Digital Electronic Control (FADEC) with greater capacity delivers higher operational performance, lower fuel burn and improved maintenance diagnostics. The F117-PW-100 engine is the military version of Pratt & Whitney’s PW2040 commercial engine. Because the F117-PW-100 is derived from a commercial application, it meets all current and anticipated commercial engine requirements for low noise and exhaust emissions. 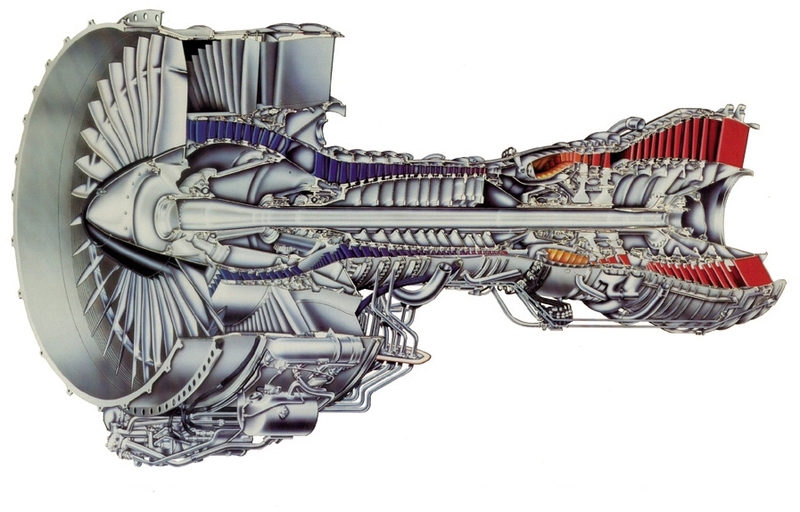 The F117-PW-100 engine is a solid performer and complements its commercial counterpart’s reputation as the world’s leading midrange-thrust engine.